I may step on some toes with this one, but if what I’m about to say bothers you, just know that I’m speaking from a very specific point of view (that of an English teacher). I’m not opposed to the overall presence of technology in education; I just don’t want too much of it in my field. Though I’ve mentioned it in casual conversations at work, I haven’t “officially” shared my opinion in faculty meetings simply because I’m still a long-term sub, not a permanent addition. I’m not in a good position to rock the boat too much yet. When that time comes, I’ll be diplomatic, but until then, I’ll stick to just blogging my thoughts. Like many private schools with limited funding, we grudgingly accept the fact that most of our technology is far from the cutting edge. We have two permanent computer labs, but we’ll probably lose one of those to more classroom space next year. We don’t have a “mobile lab” (more commonly known as a laptop cart), much less the “iPad for every student” trend we see happening at other schools. Our WiFi network isn’t 100% reliable, and we share an IT guy with the two other schools in our association (we get him on Mondays, except when he doesn’t show up). But we aren’t in the dark ages, either. Every teacher has an assigned laptop which we can plug into projectors for movies, PowerPoint, etc. One classroom even has a SmartBoard. We have a “Bring You Own Device” policy, so students can look up information on their phones and tablets if the teacher permits it. I do use the tech available to me. We listen to audio recordings of Hamlet through the classroom sound system, and watch the movie after each act. I put notes about the research paper up on PowerPoint, and we’ve watched a YouTube video from time to time. There’s other things I would do if I could. I would love a laptop cart for work-shopping essays in class. A document camera would be a nice (if somewhat frivolous) device to have, too. I don’t think the technology makes me a better teacher, and I don’t like using technology simply for technology’s sake, without proof that it enhances learning. I’ve taught with nothing but books, paper, and a marker board, and I did just fine. Because I’m an English teacher. I teach books — the written word communicated and digested in more than 140 characters at a time. In fact, I’d go so far as to say that technology hinders the study of English more than it enhances it. I don’t want my students reading exclusively in Twitter posts and text messages. I don’t want them to ignore anything that isn’t written in a bullet point format. I want them to actually read long passages of text, paragraphs and pages at a time, forming the complex thought processes inherent to the mental work of reading. Unfortunately, I’m encountering more and more students who can’t do this, and I think technology is to blame. Don’t get me wrong. My students can read. They know the phonetics, vocabulary, and basics of sentence structure, but the more the world hands them information in bite-size nuggets, the more they shy away from reading more substantial writing that requires mental effort. They don’t know how to take the knife and fork to piece of work and pick apart the text themselves. Sometimes it’s as simple as reading the instructions on a worksheet. If I write instructions in paragraph form, most students won’t read them! They’ll skip over the big block of text and just guess at what they’re supposed to do! However, if I write the instructions in bullet points, my students may actually read them. It’s a small (if common) example, but it’s representative of a much bigger problem. When it comes to reading and thinking, too many students just take the nuggets and ignore the steak, because that’s too much work. If I’m supposed to be preparing teens for life, I need to teach them to think without technology. I doubt many of my teen readers fall completely into this category, since you actively participate in the blogging world. Clearly, you know how to read and write in paragraphs – but I’m guessing you know what I mean, anyway. I’m guessing you’ve seen this phenomenon in your classmates and friends, and even in yourself when the writing isn’t something you want to read on your own. I would use a laptop cart for the sake of research papers. I would use a document camera to show specific book pages to my students. I would use them if I had them, but I don’t need them. Like I said, I’ve done this job with just a marker board and books, and that was enough for what I do. So math and science people can have their technology. I see the value of it in those fields. Languages, history, arts, etc., I’m not opposed to technology in most aspects of education. But please don’t force the iPads into my classroom. I don’t need them, and my students already know how to use them. What they need from me (whether they like it or not) are books. They need face-to-face discussions about those books that force them to think and defend their ideas without hiding behind the anonymity of the internet. They need to learn how to learn from reading, both in academics and in maturity. They need to learn how to form an intelligent opinion about a written work without someone spelling it out in bullet points for them, support their opinion with textual evidence, and communicate that opinion articulately through their own writing. There’s not an app for that kind of learning. I think things like blogs (your own for instance), databases, e-zines, and transmedia fiction prove that we can and do read and write using technology. I’m also noticing more and more students composing using technology rather than pen-and-paper. And while I don’t think we should neglect the pen-and-paper method, I think we have to be attuned to what the technology can do for us and what it has done for students who have grown up not knowing a world without the Internet. I also think we have to consider how we define technology. It isn’t just computers and projectors. That’s why I’m totally fine with other subjects using the technology. 🙂 I think we can be attuned to it without relying too heavily on it, though. I’m not denying the value of technology (especially, as you pointed out, for creative purposes), but I do want students who can function without it sometimes, too. The internet allows people to outsource their thinking, and they’ve been raised on that. The brain is a muscle that must be exercised like anything else. Why memorize anything when you can just Google it? Why read a book when you can read the summary on SparkNotes? I’m not saying technology is wrong, just that its usage isn’t all that applicable to what I teach. I think it is, though. I teach English too–freshman comp at a university. I find that students who cannot effectively use a computer to compose are in real trouble in a university. And if they cannot do online research, they’re in still more trouble. I think there has to be a balance–not relying on the technology but not eschewing it, either. It’s here to stay, and we’re reading and composing more and more on the internet. Hypertext and transmedia fictions are creations that work only in the context of digitization, and some of those things are wonderful–Inanimate Alice, for instance, is something I’ve taught before with excellent results. I agree with the balance, and you’re right about not eschewing completely. Research and writing skills are vitally important. I’m mainly reacting to the fact that we may be required to incorporate iPads into our classrooms in the not-too-distant future, and that bugs me. I’d much rather have access to a mobile lab that I could use as needed (like teaching research skills) but not be a constant presence in my daily curriculum. Ah, I see. Yes, that makes sense. I think a computer is preferable to an iPad in numerous ways, even if it’s just a laptop. iPads are small and can be difficult to navigate, and they’re really not research or composing friendly, which seems like the main purpose for technology in a reading/writing classroom. years ago in the beginning I had a television in class with a recorder. I gave a student the remote and put him in the back of the room. He did such a good job that I let him stay, with his next teachers permission to run the show. I did not tell the class he had the remote. The next class came in and I started. I said now television show x and the television responded. Actually it was the student in the back. Then television was told to go to somewhere else and it responded. The students thought I was talking to the television and it was responding. I never told them the truth. Once they left the student came up and gave me back the remote with the biggest smile on his face. We had duped the students that the television was upgraded with a new technology. Years later you could do all of that and more. It was very funny then and kind of a preview of what would happen, like an omen. Pretty soon television will be programing us and the remote will be in the hands of the channels. Remember we control the vertical and the horizontal? Very interesting post! I think you make a very valid point, especially that we shouldn’t use technology in the classroom just for the sake of using technology. And I really like that you want your students to have to read, really read, things and not just have it handed to them. You must be an excellent English teacher, kudos! Also, to me you are basically saying that books can’t be replaced. Not by technology, not by anything. And I love that. We are an English/Spanish school located in Costa Rica where some of the poorer schools have stopped using books because many children can’t afford them. We are working to start a nonprofit that will help buy the books for students as well as offer tutoring and other services for them to succeed. If you are interested in supporting or have any advice for us, we’d love to hear from you!! It’s nice to see someone bring up this issue. As a British teenager who has just left school for university, I have been raised surrounded by technology, and it has inevitably had a huge impact on the way I was taught. My school was full of computers, laptops and SmartBoards, which was used as a strong selling point for prospective students. However, this over-reliance on technology was evidently a fundamental weakness in the way we were taught. It’s all well and good getting the class to use laptops to research and write an essay, but when they take half and hour to boot up it just seems like a massive waste of time. This is nothing, however, when compared with the devastation that would arise when the school WiFi network would go down, which happened on a couple of occasions. Not only does it interfere with any work that requires a computer (I remember Graphic Design was particularly affected), but it amazed me to see how few teachers were able to teach without the aid of a PowerPoint slideshow. It certainly separated the wheat from the chaff, with many younger teachers not being able the more traditional book-oriented style of teaching. I think the ability to teach without technological aid is the mark of a truly great teacher, and I am glad to hear that you recognise its importance. I have also noticed the problem you bring up concerning reading large passages of text. In Britain, the last couple of years at high school are spent studying for “A-levels”, a qualification that is intended as a transition between school and University. Students generally undertake A-level courses in 3-4 subjects of their choice, which are taught to a very advanced level (many people I have spoken to argue that they are far more difficult than university, and now that I’m here I would have to agree!). Because of the in-depth nature of A-levels, the inability of students to read long passages of text became increasingly noticeable. Students would complain when we would be told to quietly read even a few pages as part of the lesson. There were some who would request that we “read aloud” as a class, taking a paragraph each. During class discussions, I found myself doing most of the talking as I was one of the few that had done the reading that had been set as homework. The funny thing was that it was these students who frequently complained to the higher-ups in the school that we weren’t being taught properly. My mother, a school librarian, has also noticed the huge numbers of pupils who go to the library to research an essay, only to ask for help when they realise the vast amount of text that books generally contain. The digital age, as you rightly mentioned, has to an extent robbed students of the ability to read anything that is not in bullet-point form. But bullet-points by their nature simplify information, unlike proper text which can be scoured for additional information, not to mention the fact that they lack the flow of a nicely-written paragraph, which is an essential part of my enjoyment of language. Basically (and sorry if this turned into a bit of a mini-essay), I really admire your stance on classroom technology, and your commitment to proper teaching. Technology has helped me greatly as a student, but at the end of the day, it all comes down to great teaching, and no amount of flashy tech can substitute a quality teacher. Technology can be great in any classroom, forcing anything into use will cause problems. I don’t the the problem is with the school as much as what is done on the computer outside of school. You can’t force a kid to read something of value instead of going on facebook. Social networks may not be the best, but neither is tv. You can do education things on both but it is your choice. Technology is the future. Personally i prefer a book in my hand but books are easier to acess and in some cases cheeper on the ipad or kindle. Don’t see it as taking away, see it as a new possibility. for english lesson book or white board is better than laptop or mobile phone, but for me as an IT (in Indonesia there is IT lesson for students). So if there are no LCD projector, laptop/PC, and other devices is hard to teach them, cos they need practice with the devices. My toes don’t hurt but I have to say I’m a little shocked. I too am an English teacher. I don’t know what I would do without my technology in the classroom. The ability to search a digital text alone, makes life for our students so much easier. When using a school book, you can’t annotate as you read. Using a e-Text lets you annotate, define, and search. Doing a word study with MacBeth for example. Kids want to poke their eyes out looking for every example of the word “Night” in the first act. But search a digital text? Piece o’ cake. You might be thinking though…kids need to learn how to search a “hard copy” book for quotes. My question is “why?”. If a student has quick and easy search tools, kids are more likely to do a word study again. When trying to analyze a text they might think…you know that motif keeps coming up. Maybe I should search the text to see how many times it’s used?” I think, when used well, technology is empowering and helps our students to become word junkies. That’s awesome that you’ve found such a positive way to use technology! However, I know that even if we do get iPads in our classrooms, we’ll still be a long way away from purchasing and using digital texts. Plus, I do still think it’s important that they know how to use a hard copy text. Why? Because although I recognize that the world is moving in the “all things will be digital someday” direction, it isn’t there yet. The students we have in class today are going to be entering universities and workplaces that may not be up to the same technological standards. I know the university I attended still uses hard copy books instead of digital texts. As long as there are professors from an older generation teaching college classes, this will continue to be the case, whether we like it or not. I’ve seen kids who look at a hard copy book in a library like a deer stuck in headlights. It’s great that you have the resources to do what you do, and I applaud you for using it so well, but I do worry about kids relying on it too much to do the mental heavy lifting for them. Ah see…you don’t use it every day. Students also do the work at home so when they come to class you have the meaty discussion. And when the wifi goes out, and I have a “digital” lesson, I improvise or switch my lesson around to something else. But I have to say our school has very reliable systems. As far as digital texts, check out Project Gutenberg. Most Shakespearean plays are available to download for free. I completely agree that tech can’t take over the classroom if we are to teach well and have good readers. But I use it in ways that don’t involve reading in just 140 character increments. It is difficult for teachers to get the security of a full time job, now days. I think there is a place for technology in education but there is no replacement for the interaction of the teacher/student relationship. It’s a changing world out there, how about having a listen to some of my music? If you check out my web page you can sample it from iTunes if you click on the album covers. Hope you like my music. This really struck a chord for me. My husband and I are both English literature graduates and he is a primary school teacher with leadership responsibility for English. When did teaching English become about tablets and laptops and engaging with technology?! It saddens me that in the race to embrace technology the importance of sharing passion for the written word, and teaching how to de-construct and examine the actual writing might be being increasingly overlooked by those driving educational policy. Thankfully teachers like you keep things in balance. Love your posts, keep up the good work! I use the Kindle app to show the text to the class during read alouds. I find it a great way for young students to follow a story and read at the same time. Isn’t technology great when it really works? I used to teach English language and never used technology in my lessons. Like you said: there needs to be proof that it actually adds value to learning. I feel that in most cases technology is just an accessory and a distraction. 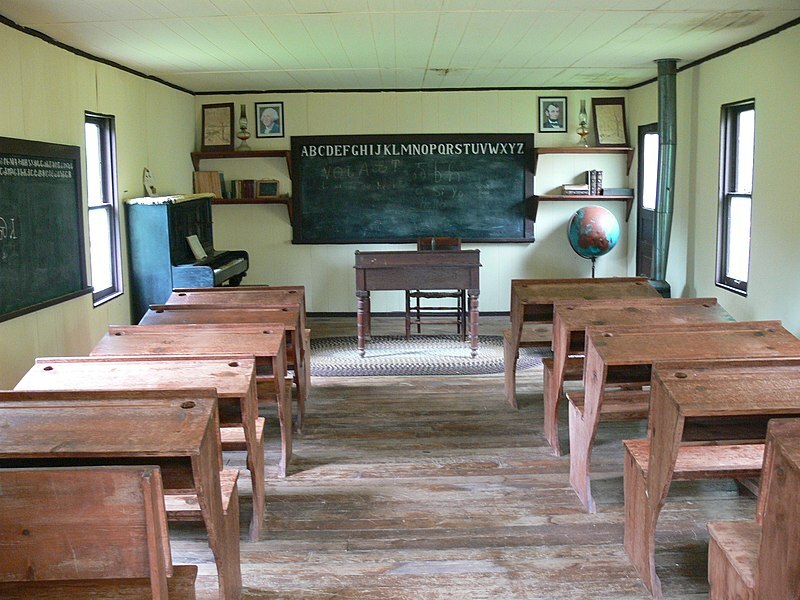 A crazy fact: many employees of Silicon Valley send their kids to tradition chalk and blackboard schools! Pretty Girls are People, Too. Enter your email address to receive Avoiding Neverland in your inbox! © Christine Roberson and Avoiding Neverland, 2012-2017. Unauthorized use and/or duplication of this material without express and written permission from this blog’s author and/or owner is strictly prohibited. Excerpts and links may be used, provided that full and clear credit is given to Christine Roberson and Avoiding Neverland with appropriate and specific direction to the original content.